Since news of Jolla — a Finnish mobile startup that wants to resurrect Nokia’s (s NOK) abandoned MeeGo software platform with new handsets — first appeared in July, the company has kept a lot of the fine detail under wraps. But that silence left scads of unanswered questions: how was it going to build its business? 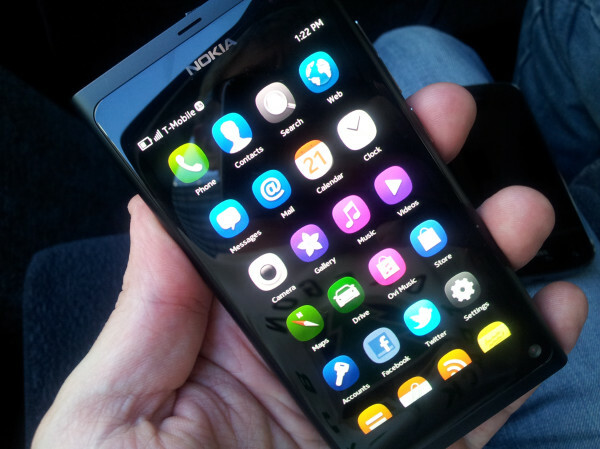 Would it have to license patents from Nokia? What would its handsets look like? The details are still largely shrouded in secrecy, but at least now the company has answered one major question buzzing around it: how can it get the breadth and depth of apps it’ll need to encourage new users in? After all, every successful modern mobile OS has a large and vibrant app store that draws in customers — and helps keep them there. In part, the inability to build and encourage an app economy has been part of the problem for Nokia, RIM (s RIMM) and other troubled mobile giants. But in an interview with Finland’s 3T magazine, Jolla CEO Jussi Hurmola said that he would get around the problem of having to build a new app ecosystem — by using existing ones. More specifically, the company will be letting Jolla handsets run Android (s GOOG) apps through ACL technology, which will enable them to run software built outside MeeGo’s traditional bounds — potentially bringing in apps from Android and Qt as well as those built in HTML5. This is not exactly new: OpenMobile’s ACL has been supporting MeeGo for about a year — but it could help Jolla overcome a critical adoption obstacle. Now they’ve just got to get the rest running too. I’m trying to track down a translated version of the original magazine article, but other Finnish reports say Hurmola outlines a number of other features, including improved multitasking, and a fresh and new user experience. For his part, Hurmola says this is not the full picture. On Friday he tweeted that there was still more to come. So glad MeeGo is getting another chance. I’ve been wanting a smart phone for a couple of years now but I don’t want anything to do with Google, Microsoft, or Apple. I just hope it isn’t too expensive and it comes out on my service provider, Sprint. Though I might consider switching to T-Mobile or Next 10 for it. AT&T and Verizon are definitely deal breakers for me and my family though. I hope we will also see a MeeGo tablet. They have not revealed their app strategy yet. Yes ACL is there but so was Alien Dalvik. They might nix ACL if it opens tbem up to lawsuits. What’s really the apps issue here is that QT will get ported to IOS and has already been ported to Android unofficially (neccesitas).